New Harbinger Publications, 9781626251793, 256pp. Mark Bertin, MD, is a developmental behavioral pediatrician in private practice in Pleasantville, NY. He is assistant professor of pediatrics at New YorkMedicalCollege, on the faculty of the Windward Teacher Training Institute, and on the editorial board of Common Sense Media. His blog regarding topics in child development, mindfulness, and family is available through huffingtonpost.com, psychologytoday.com, mindful.org, and elsewhere. For information about his online mindfulness classes and other resources, visit www.developmentaldoctor.com. 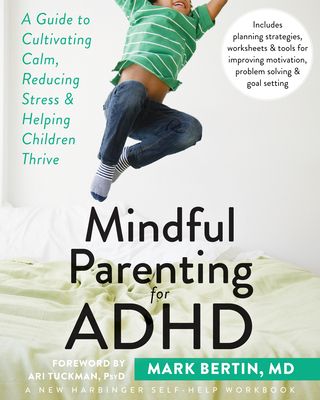 Foreword author Ari Tuckman, PsyD, is a clinical psychologist in private practice in West Chester, PA, specializing in the diagnosis and treatment of ADHD. He presents frequently on ADHD and related topics to both professionals and members of the public.